My daughter has attended Bumble Bee for six months as of this review. She began when she was 5 months old and has thrived under the care of the wonderful staff, who are flexible, well-trained, patient and kind. The best endorsement is this: not once has my daughter cried at being dropped off, and she often cries at being picked up, because she doesn’t want to leave her friends. She is always excited to be there and loves going to school. I want to recommend Bumble Bee Daycare as a great option for infant and toddler daycare in Park Slope. Our son was at Bumble Bee for 23 months before moving onto a pre-school. During his time at Bumble Bee, our son went from being an infant to a toddler and we went through all the changes in nap schedules and feeding routines that goes along with growing up. The staff was great at communicating with us during these transitions. We loved getting feedback from them and they were very open to our needs as parents. The facilities themselves are wonderful. 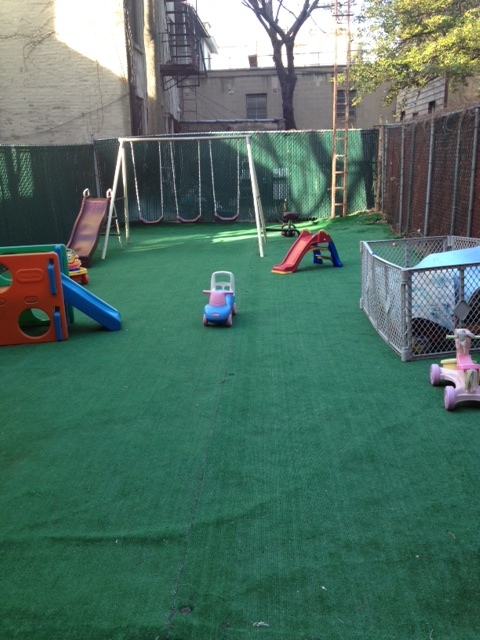 There’s a backyard for the kids to enjoy and there are two floors, so there’s some separation of children by age. They’re great at communicating via email. They send menus for the week (they cook several meals a day for the kids), general announcements and reminders and even the occasional photo from that day’s activities. Those are always a nice treat. Eunice Lee and her staff have become part of our extended family over the last 23 months. We’ve watched our son grow into a funny, polite and charming child (we’re biased) and we think Bumble Bee had a lot to do with that. Even though our boy will be headed to a new school, we look forward to him returning on the occasional day here and there when school is closed. If you’re looking through daycare options, I highly recommend checking out Bumble Bee Daycare to see if it’s right for you. 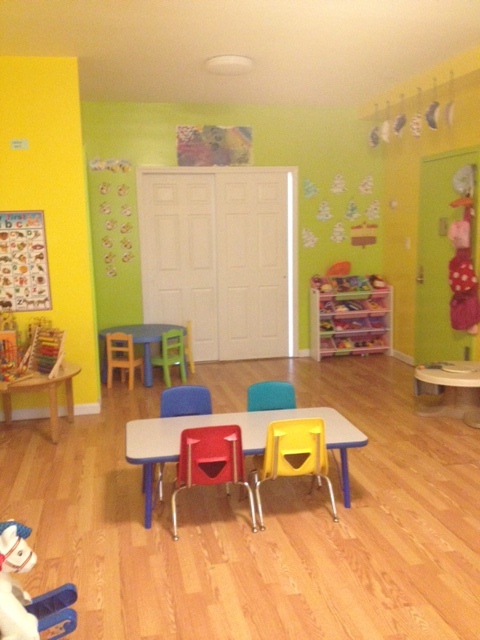 I can’t say enough good things about our experiences at Bumble Bee Daycare. My wife and I started sending our son there in December when he was 8 months old. Since then, we’ve watched him go from a crawler to a walker and a babbler to a talker. Our son has been at Bumble Bee Daycare long enough for his nap schedule and feeding routine to change a couple of times. Each of those transitions was handled extremely well by the staff. They communicated the progress, welcomed our suggestions and we welcomed theirs. We are very happy with how flexible and cooperative they have been with us. We appreciate being able to communicate with the staff via email. It’s really convenient and we absolutely love when they send pictures of our son during the day. It’s a small thing, but it’s so great to see what he’s up to (especially when he’s playing in the backyard). Overall, we highly recommend Bumble Bee Daycare. The caring staff recognizes and appreciates the unique personalities of every child they encounter.